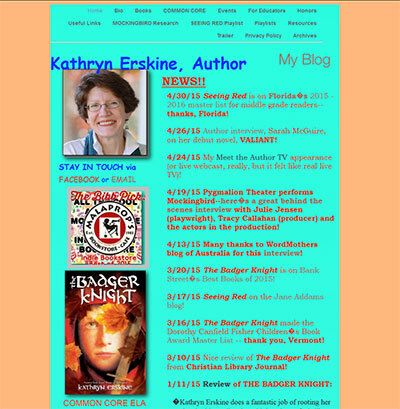 Kathryn Erskine is a National Book Award winner for Young People’s Literature. She grew up in Europe, Africa, Canada, and the United States. She was a lawyer until she figured out what she really wanted to be when she grew up—a writer! Kathy takes her inspiration from the world around her and from her personal experiences, including her childhood attending eight different schools. This was a redesign project. Kathy was seeking a more professional web presence. 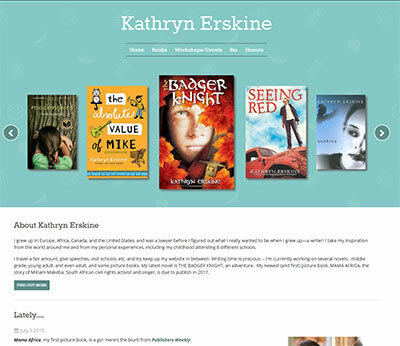 We gave her a new color palette, focused on her books, workshops and appearances, highlighted her great reviews, and put the site into a content management system she can easily manage herself. © 2019 | drw Design LLC.